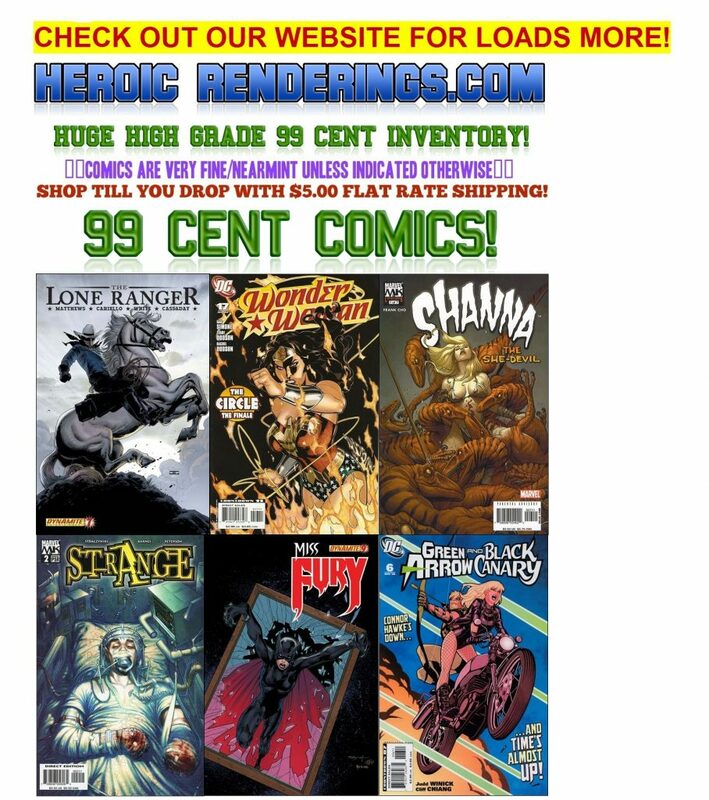 Get your $10.00 coupon to spend on our HeroicRenderings.com website, where you will discover a massive inventory of high grade comics of all sorts- for only 99 cents each. With current comics retailing at around $4 to $5 a pop, this coupon amounts to a stack of Free Comics from our massive 99 Cent Inventory, or substantial savings on a larger order. So, what's the catch? This is our way encouraging you to stay on our mailing List, so that we can alert you to future sales and coupons. You will also get first dibs whenever especially noteworthy items are added into our inventory. That alone can be a really advantageous benefit of being on our List. By the way, not only is the vast majority of our Inventory priced at 99 cents, but even comicdom's "big tag" items are regularly slashed to wholesale levels. Usually 50% or more..! Trust us when we say that, as a comics collector, HeroicRenderings.com is a site to keep your eye on. HeroicRenderings.com is like having 24/7 access to an extensive Bargain Bin, right at your finger tips. And shipping is only a flat $5 bucks, no matter how large your order. So, hang with us, esteemed Collector, you will be mighty glad that you did. If there's ever anything that I can assist you with, just drop me a line for a prompt response.